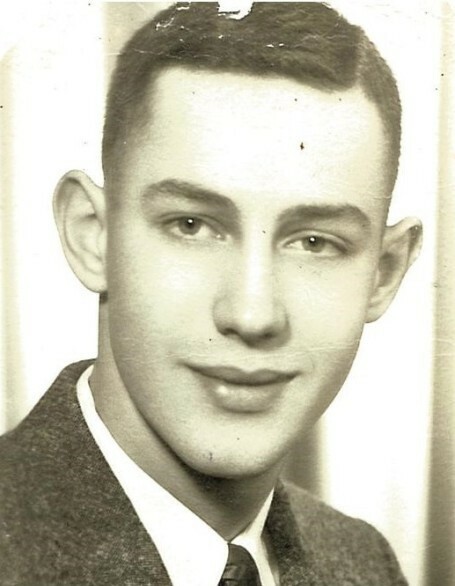 Paul N. Dice, 84, of Huntertown, passed away on April 15, 2019, at his home. Born in Allen County, on June 25, 1934, to the late, Howard and Jessie (Ott) Dice. He spent his formative years in Huntertown, graduating from Huntertown High School in 1952. Paul was married to Gorgean Fox in Fort Wayne, on October 16, 1954. The couple raised their family in rural Allen County. In addition to being a life-long farmer, he drove a milk truck for Allen Dairy and drove a school bus for Huntertown Schools. He retired from Fox & Fox Frame Service after 32 years of service. In his early adulthood, he enjoyed playing softball. Later he belonged to the Dekalb County Horseman Club. He enjoyed watching basketball, softball and attending 4-H fairs. Paul is survived by his wife of 64 years, Gorgean Dice; three children, Barney (Vicki) Dice, Tim (Mary Jo) Dice and Mary (Sam) Ashton; a brother, Elden (Barbara) Dice; a sister, Darlene Smith; 11 grandchildren and 25 great-grandchildren. He is preceded in death by his parents; a daughter, Connie Dice; a sister, Martha Doster and a brother, Keith Dice. Mass of Christian Burial will take place at St. John Bosco Catholic Church on Tuesday, April 23, 2019, at 10:00 a.m., with calling at the Funeral Home from 9:00 a.m., to 9:45 a.m.
Family will also receive friends at Sheets & Childs Funeral Home on Monday, April 22, 2019, from 2:00 p.m., until 7:00 p.m., with the Holy Rosary recited at 7:00 p.m. In Lieu of flowers, please direct memorials to St. John Bosco Catholic Church or to the Church for Masses.